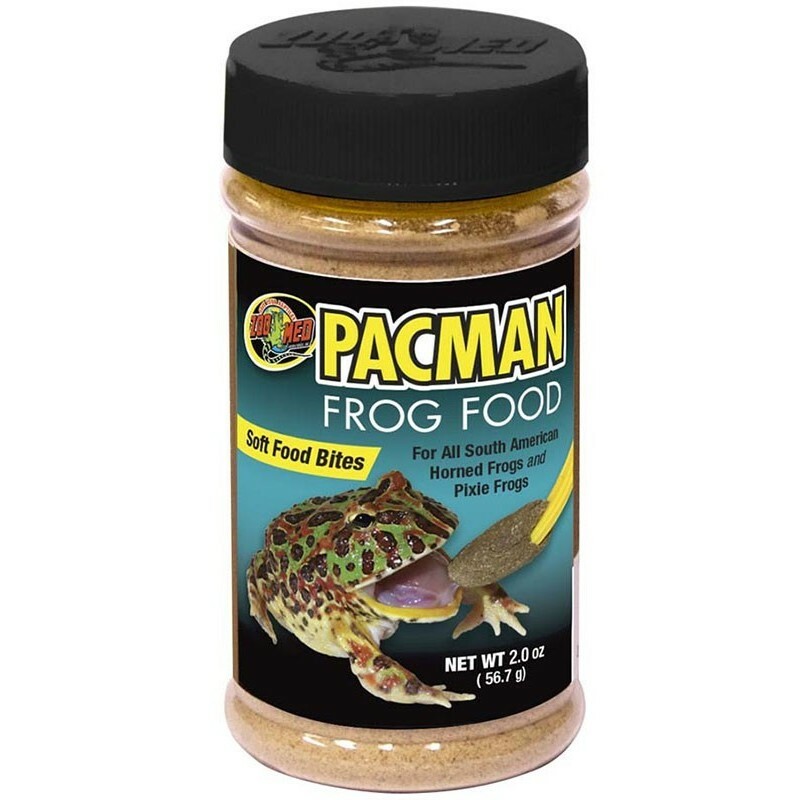 Specially formulated to meet the dietary needs of the South American Horned Frogs and other large frog species (Pacman Frogs/Argentine Horned Frogs, Ornate Horned Frogs, Fantasy Frogs, and Pixie Frogs). 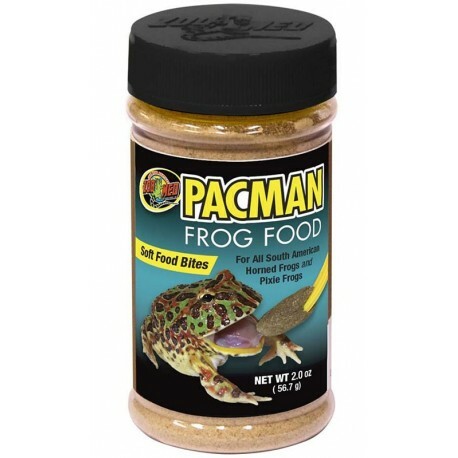 Zoo Med's Pacman Frog Food is specially formulated to meet the dietary needs of the South American Horned Frogs and other large frog species (Pacman Frogs/Argentine Horned Frogs, Ornate Horned Frogs, Fantasy Frogs, and Pixie Frogs). 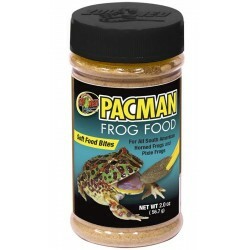 This convenient, easy-to-use food can be fed to juvenile and adult frogs as a replacement for insects and rodents. Your frogs will eagerly ambush the food-bites, just as they would with live food! Fish Meal, Dried Potato Products, Wheat Gluten, Dicalcium Phosphate, Calcium Carbonate, Sodium Phosphate, L-Ascorbyl-2-Polyphosphate (stabilized source of Vitamin C), Choline Chloride, Vitamin E Supplement, Niacin Supplement, d-Calcium Pantothenate, Riboflavin Supplement, Thiamine Mononitrate, Biotin, Pyridoxine Hydrochloride, Folic Acid, Vitamin A Supplement, Vitamin D3 Supplement, Vitamin B12 Supplement, Inositol, Magnesium Sulfate, Ferrous Sulfate, Copper Sulfate, Sodium Selenite, Potassium Iodate.